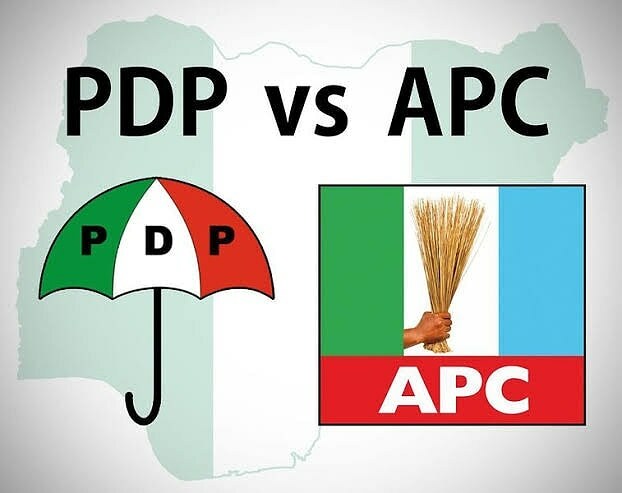 The Senator representing Lagos West at the Nigerian National Assembly, Sen. Olamilekan Adeola on Saturday urged Nigerians to reject the People’s Democratic Party (PDP) in 2019, saying the party has nothing to offer the country. Speaking with journalists at the Nigerian Union of Journalists (NUJ) Secretariat in Ikeja, Adeola said the PDP lacked the vision to govern the country. He noted that the 16 years of PDP in power was a waste as they did little or nothing to improve the lots of Nigerians. Adeola said the All Progressives Congress (APC) had put the country on the path of progress in the last few years, and would achieve much more in 2019. “Nigerians should reject the PDP in 2019; they have nothing to offer. They were in power for 16years and they achieved nothing. “In fact, the three years of the APC administration are better than the years of PDP in power. It was 16 wasted years. PDP is a failure, they should be rejected,” he said. The senator said one particular step that pointed to what he called the ineptitude of the PDP was the way they privatised the power sector. Adeola alleged that the PDP sold power assets to friends and fronts all in the name of privatisation. He said the hangover of the problem was still with the country till date. The senator said electricity Distribution Companies (DISCOs) foisted on the country had done little to add value to the power sector, and Nigeria would be better with replacements. Adeola said he had acquitted himself remarkably well as senator representing Lagos West. He said his emergence in the primaries of APC to represent the zone again in 2019 reflected the confidence party men and the people had in him. Adeola said he had organised many empowerment programmes and executed many projects that had touched the lives of residents. He listed some of the programmes as the distribution of 500 UTME forms to school leavers, granting University scholarships to 56 students, and the facilitation of entrepreneurship training for 600 youths. Adeola said he had also facilitated tens of employments for graduates and other young people in the Federal civil service. “In the area of infrastructure development of our district in assisting and complementing the efforts of Lagos State and Federal Government, I donated 10 500 KVA transformers to a community in each of the 10 LGAs that make up Lagos West,” he said. AdeoIa said he also facilitated the rehabilitation of Baale Olodi Apapa Road(Boundary-Berger-Suya-Kirikiri Bridge) and had sunk 28 boreholes spread across 28 Local Council Development Areas of the district. “I also donated several 18-seater Toyota buses to Lagos West stakeholders including Obas, the Council of Baales, CDC, the Christian Association of Nigeria (CAN), LASU student Union, the league of Imams, among others,” he said. Adeola said he was one of the active voices in the Senate, having sponsored so many important bills and contributed to the passage of others. The senator promised to achieve much more in the upper chamber in 2019, if reelected, urging his constituents to give him the needed support.